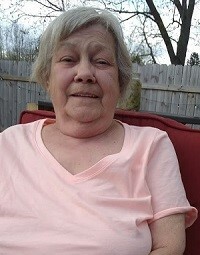 Loretta E. Moury, age 76 of Cardington, died Tuesday, October 9, 2018 at the Marion Manor Nursing Home. She was born on August 3, 1942 in Marion to the late Cornelious and Ruth (Crabtree) Brammer. Loretta was a 1960 graduate of New Bloomington High School. She had worked at Whirlpool in Marion for many years. On July 7, 1997 in Wise, West Virginia Loretta married Don D Moury and he survives in Cardington. Loretta enjoyed spending her time crocheting, sewing, canning and cooking. She also enjoyed spending time taking care of the yard and in her garden. She loved to listen to music and to travel when she was able to. Loretta most enjoyed spending time with her family and grandkids. In addition to her husband, Loretta is survived by a daughter, Theresa (John Guesman) Hammons of Marion, step-daughter, Annette (Bill) Wilson of South Carolina; 4 grandchildren, Levi Vanway, Waylon James, Dawn Conley and Jessica Conley and 4 great-grandchildren. In addition to her parents, Loretta was preceded in death by 12 siblings. Gompf Funeral Home of Cardington is honored to have been chosen to assist the Moury family in their time of need. Those wishing to share a memory of Loretta or to express a condolence to the Moury family may do so by visiting www.gompffh.com.